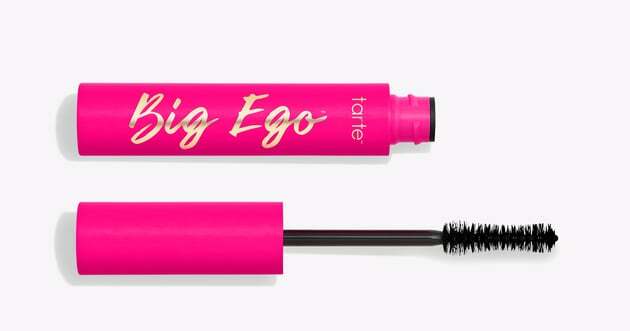 Three things came to mind when I first tested Tarte’s new mascara, the Big Ego ($23): highlighter markers, my lost eyelash curler, and Beyoncé. The mascara reminded me of the office staple for obvious reasons — its neon tube looked exactly like the pink one by Hi-Lite — but inside, and you’ll find an hourglass-shaped spoolie. The brand promised that this brush would “[mimic] the curves of your lash line to build root to tip volume,” thanks to its “twisted double-fiber bristle brush for max pigment load,” and it followed through. As I swept the brush from the roots to the tips my eyelashes, I saw a visible lift. A few more coats gave them the same curvature my lost eyelash curler would have. I let the mascara set before combing through a few more layers, which left them “big, wide, and strong” — as Beyonce said in her early 2000’s track “Big Ego.” (What? She was referring to someone’s confidence). The fibers lengthened and thickened without ever clumping. The result: eyelashes so fierce, even the megastar herself would approve of them. Even stronger than your lash game is the brand’s mission with its Big Ego campaign. Through the new initiative, Tarte seeks to empower women, kicking off a campaign with the Big Ego Girls Leadership Summit — a weekend event for girls ages 13-18 to inspire them to grow into powerful women through panels and programming. See the mascara, which will be available on Tarte’s website on April 18, ahead.